Cheeky card for your mum when you have no present this Mother's Day. 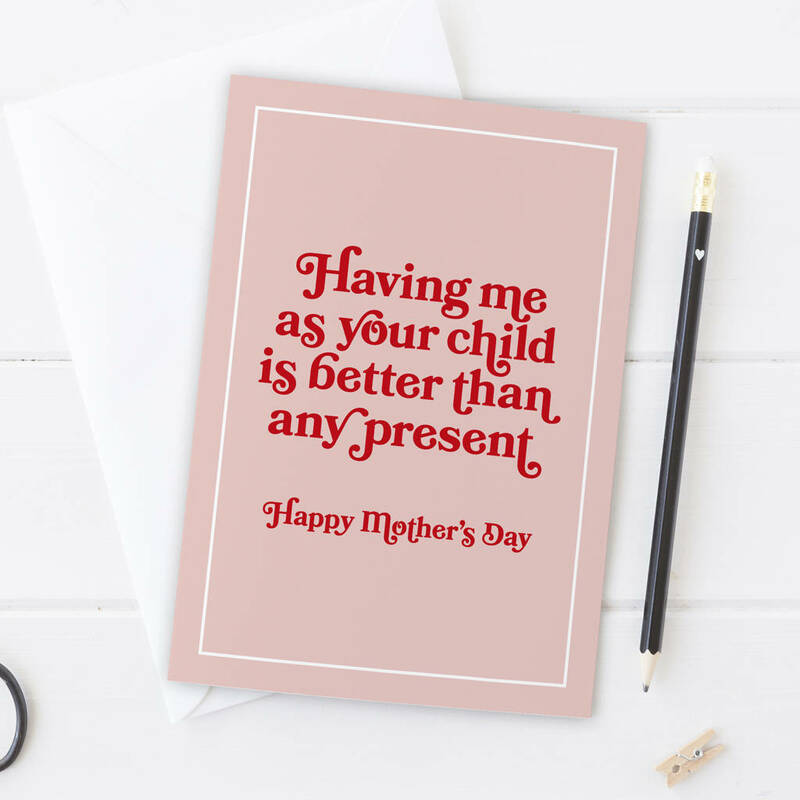 This Mother's Day Card is professionally printed and is blank inside for your own special message. The cards come with a white envelope and posted in a board backed envelope to keep them in top condition. Please see my storefront for more cards for all occassions.